Get 20% off Smith Optics eyeglasses plus FREE shipping on all orders at AC Lens! Save up to $300 off a year when you order an annual supply of contact lenses from Biofinity, Air Optix, and more. 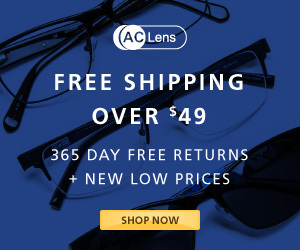 Get $50 off Prescription Sunglasses orders of $150+ with code 50EW150 at AC Lens! 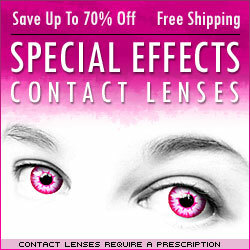 Save Up to 70% on Contact Lenses & Extra $5 off on any order over $50! Use ACLS5 Coupon Code at Checkout. Get $50 off Prescription Eyeglasses orders of $150+ with code 50EW150 at AC Lens! AC Lens has everything for your eyes. Shop online for wide selection of contact lenses, eyeglasses, sunglasses, and more. AC Lens has over 10,000 products for your eyes with Free Shipping and Free 365 Day Returns in the USA and Canada. Find the brands you love including Air Optix, Oakley, Ray-Ban, Vera Bradley, Ted Baker, and many more. AC Lens contact lenses are the exact lenses prescribed by your doctor and delivered to you in safe, sealed containers direct from the manufacturer. Order your contact lenses from AC Lens, and save up to 70% off on AC Lens retail prices. Found a coupon for AC Lens?